The odds are in favor of "The Hunger Games: Mockingjay - Part 2 to be on top of the box office in its opening weekend with an expected $120 million sales. The widely anticipated finale to the franchise starring Jennifer Lawrence comes on par with "Mockingjay - Part 1". 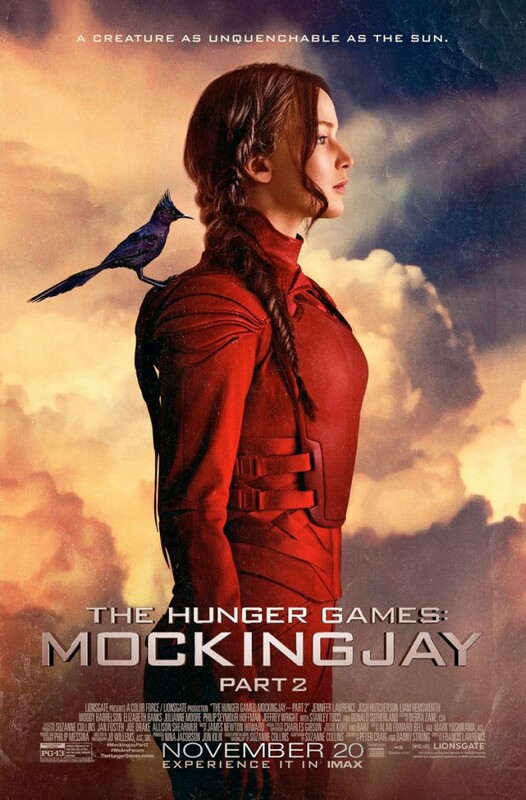 "The Hunger Games: Mockingjay - Part 2" is expected to earn the most viewers in its opening weekend with $120 million. It is also expected to beat "Minions" on the fourth place in the biggest opening of 2015, according to Entertainment Weekly. Although there are movies debuting in the weekend as well, the final installment of the "Hunger Games" series would be difficult to beat. "The Night Before," a Christmas comedy, is expected to debut with $13 million and the thriller "Secret in Their Eyes" with $8 million. Other films opening are "Legend" and "Carol," which are for limited release. Other films participating in the box office face-off are "Spectre," which is expected to earn $16.8 million this weekend and "The Peanuts Movie." with $13.2 million. Both are on their second weekend. Critics also predict that "Mockingjay - Part 2." directed by Francis Lawrence, is coming on par with "Mockingjay - Part 1." which opened with $121.9 million in 2014. According to Variety, the adaptations of Suzanne Collins' "The Hunger Games: Mockingjay" book are shockingly similar in terms of social media buzz, reviews and digital metrics. Still, the finale to the "Hunger Games" series is unlikely to reach the box office achievements of the first two installments, "The Hunger Games" and "Catching Fire," which debuted with $152.5 million and $158 million, respectively. Overall, the first three films earned $2.3 billion worldwide.